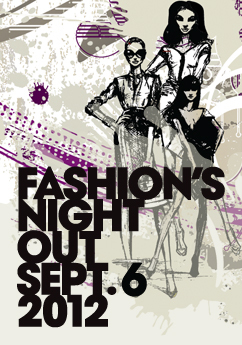 Who: Fashions Night Out will be celebrated in style at Paseo Nuevo on September 6th, 4-9pm. Founded just four years ago in New York City by Vogue and the Council of Fashion Designers of America, this global celebration of fashion is set to help boost consumer confidence all in the name of shopping enjoyment. And of course, this is a great excuse to get the girl’s together and celebrate the love of shopping. What: Guests are invited to Paseo Nuevo to enjoy one-of-a-kind events and extras. The experience will include A Walk In Paris fashion show, amazing in-store events, live music, raffle and giveaways. The list of retailers is both impressive and extensive! Retailers include: Aldo, Angl, Aveda, bebe, Bettie Page, Brookstone, Cache, Cotton On, Francesca’s Collection, Gap & Gap Kids, L’Occitane, lululemon athletica, Sephora, Solstice Sunglass Boutique, The Walking Co. and White House Black Market … the list goes on and on! For a complete list of participating retailers, visit wwwPaseoNuevoShopping.com, or follow us on Facebook and Twitter.